Adding living plants to your aquarium is one of the most interesting ways to enhance colour and be creative with your tank. Living plants do not only create more atmosphere to your aquarium but they bring great benefits to the system. They naturally boost the health of the tank and create a breathing ecosystem providing biological filtration and oxygen. You can be as creative as you want adding plants as your aquarium will become even more unique and tailored to your vision. Yes but what about the extra work to keep the plant healthy? The good news is that this myth can be completely debunked. It’s actually contrary if you choose the right type of plants. 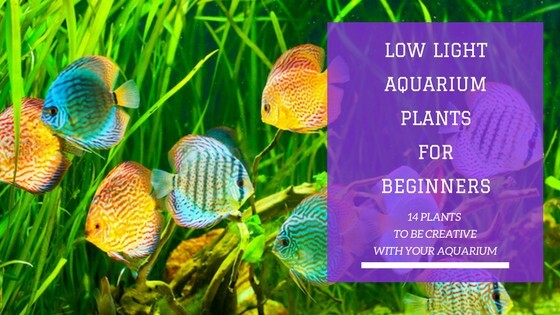 There are several beginner friendly plants that will grow well in a variety of situations and are pretty much indestructible once they are settled into the tank. In addition to that, your aquarium will benefit from the extra filtration and oxygen provided by the plants. They actually feed on the nitrates and ammonia in the water, thus minimizing algae build up and purifying the water and the fish always appreciate spaces to hang out and play in. 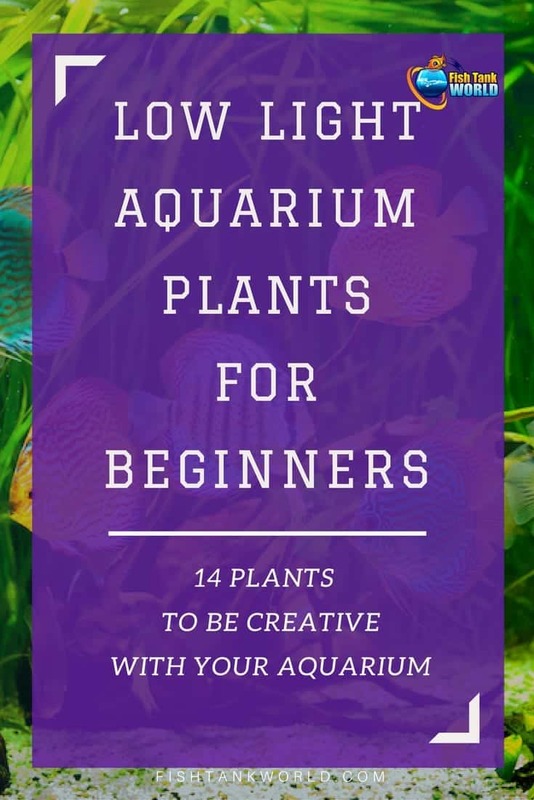 Let’s take a look at the aquarium plants list we prepared for you so you can start to visualize your habitat with the beautiful colors and start to reap the benefits. We have listed low light aquarium plants only in this article. Keep reading for find out why. We will focus on low light plants in this article because they are naturally easy beginner plants. This is probably a good idea to start off with because they are more robust and usually require less maintenance. 1 and 2 watt per gallon (wpg). You won’t be able to grow anything under 1 wpg of light. The lighting required for your aquarium can be measured by dividing the number of total watts you have with the size of your tank. For example, if you have a single 20-watt bulb over your 30-gallon aquarium, this will give you only 0.6 mpg of lighting. This is definitely not enough for most aquarium plants, not even the ones in the low light category. Another thing to consider when looking into putting live plants into your tank is substrate. Depending on the quantity of plants you choose to put, you will need to decide on the substrate in consequence. If you only want to put a few plants, then your regular gravel will do fine. Some plants like ferns and moss don’t even need substrate, but stem plants do. You will want to use shorter plants in the foreground and add the higher plants in the middle and background to create a naturally pleasing escalating look. When placed strategically, you can even use plants to hide your filter intake tube and water heater. Stem plants come in a variety of shapes and colours. They can be rooted or non-rooted. 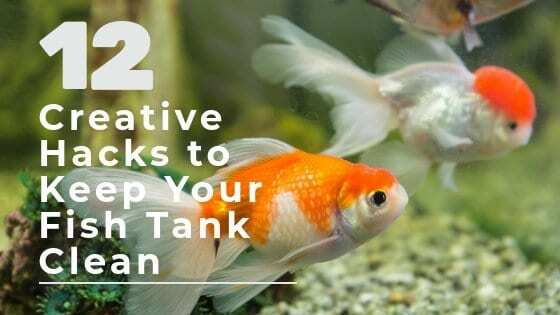 Some are excellent for filling the back of the tank and others make great floating additions. Stem plants are bought in bunches and need to be separated and be placed in the desired areas of your tank. They usually grow fast and abundantly and will need some occasional trimming. If rooted, these are planted an inch or two into the substrate and when trimmed can be easily grown again. Most low light varieties are green, but some may contain red shades. The red will not be as bright in the low light aquarium as it would be in a habitat with more light. This is a very popular stem plant with beginners because it is very low maintenance and it has beautiful red and green leaves. It grows very quickly and can flourish in low light aquariums very well. Just keep in mind that the richness of the red will be affected by the light provided. Less light, will provide less intense red hues and increase the greens. You may need a little experimenting with your lighting to get the exact colours you desire for his plant. This plant is also known as Water Wisteria. It grows tall and wide which is good for larger aquariums. It tends to be on the light green shade, but will change in colour depending on the light exposure it gets. This plant should never be put in a tank with goldfish, they will devour in no time. The Hornwort Plant, also known as Coontail, is a floating plant with no roots. You can easily anchor it in substrate if you wish, or leave it to float at the top of your tank. It does well in low light, but will grow more quickly given more light. The Hornwort plant is a plant that grows fast and big, so keep in mind when installing in your tank. This is a plant that can be used as a top floater or bunched together and secured to the bottom of the tank. It is also commonly called Brazilian Waterweed. It is also in the family of “easy to care” for plants as it requires very low maintenance. It grows rapidly and will need regular trimming. It is also known and sold as The Amazon Sword Plant. This plant is well known for its broad, bright green leaves. It looks good as a background plant as it grows very tall and fast. You can easily use this plant to hide your filter intake tube or water heater. It is also often used as an eye catching center piece because of its size. Fern or Anubais plants are never planted into the substrate and live very well attached to driftwood or rocks. They are also an excellent category choice for beginners. This leafy plant belongs to the fern family and it provides a rich colour addition to your tank. It has long, dark green leaves that make a great add-in to a habitat. It’s well known to be robust and also undemanding. You won’t have to spend a lot of time fussing over this plant. It grows quite slowly and has longevity. It is very easy to care for and does really well in low light and low Co2 situations. It’s full grown size can attain 12 inches. It’s a perfect plant for first time aquarists. This fern is easy to care for and can be attached to rocks or driftwood. It is a medium size plant and can be placed in the middle of the tank. What makes this Java fern different from the other Java ferns are the fringe type ends at the top of the leaves. The Petite Anubias lives up to its name. It’s a small plant perfect for the smaller habitats. It has a dense leaf structure that requires very little light. It has strong durable roots that make it easy to attach to a variety of surfaces. Make sure to research the dining preferences of your fish, some species may enjoy eating this plant. Moss plants are the easiest to maintain and also one of the most popular with beginners. They grow quickly and it takes only a little bit of plant to generate more. Moss plants are placed on wood, rocks, or any other hard structure you have in your aquarium. These fluffy green balls are a great visual addition to your aquatic space. They are sure to be a topic of discussion when friends and family see your tank. They are great for interesting decoration, but are also ideal to keep your tank clean of toxins. The Moss Balls absorb nitrates, fish excreta, phosphates, and ammonia. They are also ow maintenance and don’t require any special care. Just plop them into your aquarium wherever you want. If you have or plan to have snails or shrimp in your aquarium, then this a natural go-to plant. Snails and shrimp will eat food deposits on it but will not eat it. Remember that the real Marimo Moss Balls are not always perfectly spherical and may have brown spots. This is a normal occurrence. Beware of the sellers who promise perfectly spherical moss balls, they may be fake and/or contain pesticides. This moss is great for creating a moss wall or carpet. It is a very easy to care for plant. Like all the other plants mentioned in this article, it doesn’t require any special lighting or extra Co2. Fish love to hide out in it as it is soft and comforting for them. You can use a plastic support to tie the moss and create a natural looking backdrop in your tank. Here is a how to video if you wish to create this look in your tank. It looks great and is very easy to care for. Moss plants are the easiest to care for and require no more than some occasional trimming. The Taiwan Moss fits this bill and is great for attaching to driftwood or rocks to create a lush, bushy look. It can grow fairly large, so keep in mind that is probably suited for the bigger tanks. This moss can actually live in cold water tanks as well as tropical. This is a very slow growing and dense plant. Very easy to care for and has no specific needs. As any other moss, it will grow in any fresh water tank. It is called Flame Moss most probably because it grows straight up and then eventually twists. Another very interesting addition to ponder when planning your aquascape. Hair grass is always an interesting and fun addition to any aquarium. As the name states, they look like grass growing at the bottom of your tank. Hair grass will spread naturally on the floor of your aquarium and make your aquatic undertaking look lush and established. This is an easy to keep foreground carpet plant that resembles grass and is sometimes called Copragrass. It does extremely well in all fresh water aquariums and also in varied lighting situations. This makes it a perfect newbie plant to have in your tank. It can live fully or partially submerged. Remember that it grows horizontally, so plant in consequence for its eventual growth. Small fish love to hide in this plant. The Dwarf Hairgrass plant can live partially or totally submerged and is very low maintenance. It’s a carpeting plant and looks great in the foreground of your aquarium. It’s a great place for small or baby fish to hide and feel safe in. It grows extremely fast and can cover the bottom of your tank in no time. Exposing it to more light will make it grow faster, but it can easily thrive on low light conditions. All of these plants mentioned require very little care and can thrive with low light and no added fertilizers or Co2s. The plants you will want to avoid putting into your beginner tank are the colorful red or purple plants as they require high light habitats and considerable amounts of Co2 and iron to flourish. You also will want to stay away from non-aquatic plants and plants in tubes. There are hundreds of varieties that are out there you can choose from. It’s usually a good idea to stick to a theme, like mostly using stem plants or java ferns. Moss will grow in almost all conditions; so you can add them to your aquarium with the other plants as you wish. Hair grass is always a great addition to any tank. Remember that all these plants can just as easily live in high light situations. The leaves will change coloration and most will become richer and darker when exposed to higher light. Fish and plants live very well together. 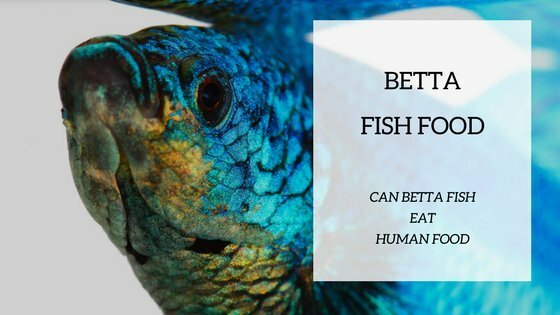 Fish provide carbon dioxide and nutrients for healthy plant growth and in turn, aquatic plants provide natural filtration and oxygen to create a clean and healthy environment for fish. They also provide shelter and safety for the smaller and more timid fish. 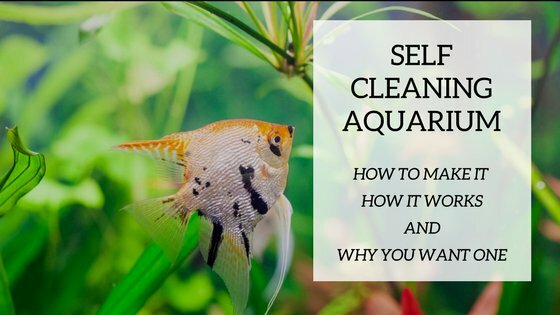 Here is a how-to video to help you planning and decision making for your new aquascaping hobby. Also remember you may want to purchase supplies and instruments in order to make your planting easier and more enjoyable. It’s not always much fun to stick your whole arm down to the bottom of your tank. You may want to invest in tweezers, scissors, and pruning tools. You don’t have to invest a lot, but a few simple instruments will certainly help you do a better job when planting and also when trimming. Don’t forget that your plants will require some sort of occasional trimming in order to keep the tank healthy. It’s best not to let the tall plants grow to the top and hinder light for the bottom plants. We have mentioned and showcased a few starter plants for you to consider, but there are many more. Here is an extensive list of all aquarium plants to consider for your aquascaping plans. Read carefully the plant descriptions and especially the difficulty level and light requirements for each one.